This highly heat stabilised copying drawing film, anti static on both sides, has a matt coating and can be used on all large format copiers and laser printers using standard paper. The coating has been adapted to suit xerographic toners which ensures permanent toner adherence. FOLAREX HXF is recommended for use wherever the subsequent copy is subject to extreme requirements. The coating is insensitive to water (test 1 h. at 90°C) and all organic solvents. The copy lies extremely flat and will accept water soluble inks, graphite pens and polymer pencils. 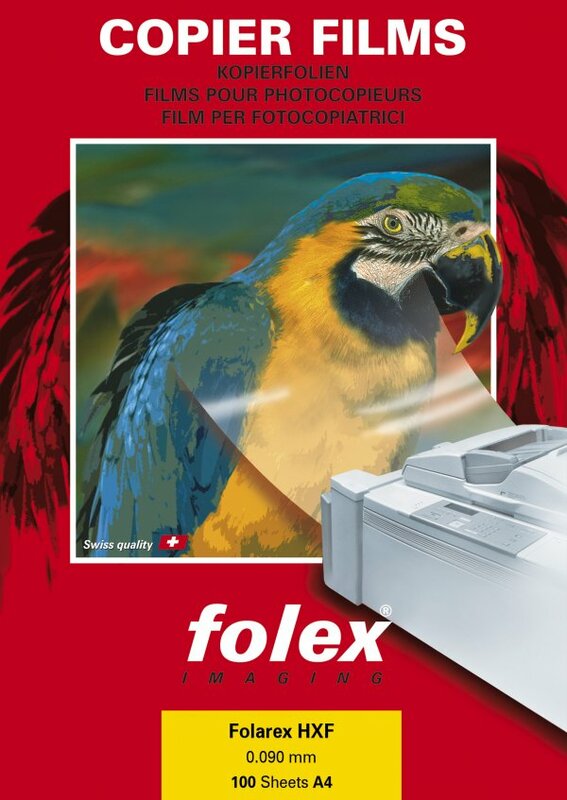 For use on most Large Format Mono Copiers and Laser Printers. For correct feeding please follow the equipment suppliers manual.